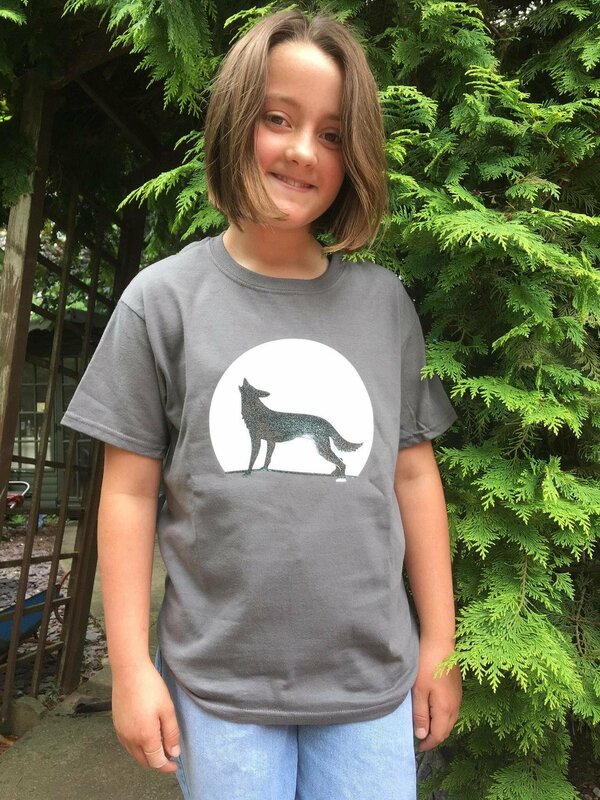 Wolf T-shirt with your choice of t-shirt colour. Design colour will be white flock vinyl moon and black glitter vinyl wolf - all professionally heat pressed. T-shirt colour shown is charcoal.